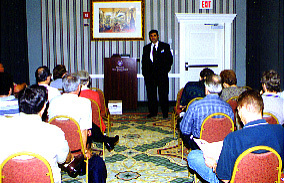 Pinellas Libertarian Michael Gilson was one of many prominent Libertarian speakers at the 1999 Libertarian Party of Florida Annual Convention and Business Meeting. 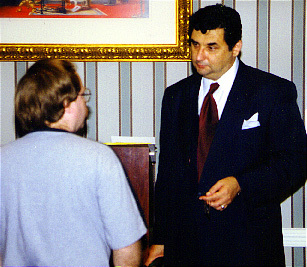 Michael Gilson chats with Pinellas Libertarian Dan Skinner at the 1999 Libertarian Party of Florida Convention in Palm Beach Florida. 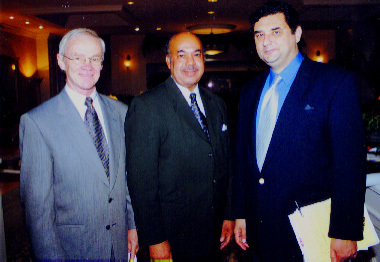 Copyright Pinellas Libertarian Activist Club ©1999-to Present -- NOT an affiliate of the Libertarian Party of Florida.